When you take a fundamental understanding of the right to bear arms, you start to realize the need for it. Let's start by looking at what the second amendment says about the right. We all seen and understood what is said in the constitution says. But what validity does it have, if any? 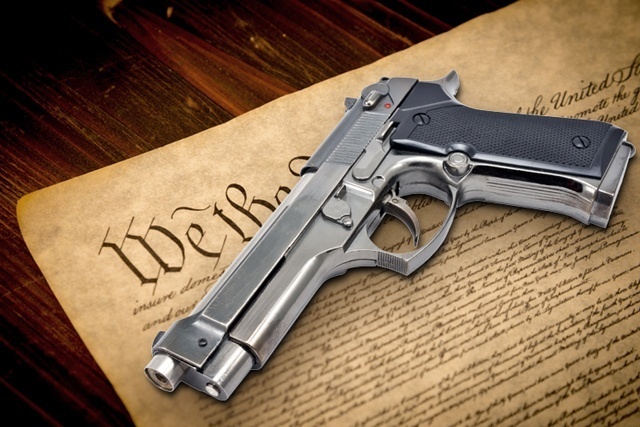 Does a person have a right to the ownership and use of the dangerous weapon, which could potentially harm a large portion of people? The short answer is, yes. The long answer is, it's complicated -- but defined. Let me explain without getting too much into the details of how it works. Suppose that you are a farmer. While you get to be this farmer, anyone would also assume the right to your own labor. Meaning, your labor, is owned by you. The land you till, water, maintain, remove weeds and upkeep is a direct result of your individual labor. Or even if you get it more complicated, in which people voluntarily sell their labor for your benefit in return for money. All is the same on your farm. I don't mean to get overly philosophical, some people would look at the statement of "I own my own labor" and think: "Duh. Of course I own my own labor." But this is a gigantic fundamental that needs to be rooted to get to the next step. You can see ownership of labor all around you, and hardly anyone would argue the fact. Now, going back to the farmer, if by theory, they have a right to their own labor; then you can bring yourself to believe that because the labor of the farmer is tied to the land itself, means that they have to be able to own the land as well. Okay. So we got two concepts down. You have a right to your labor, and you have a right to ownership land. In order to have a right to labor, you also have to have right to land, and vice versa. Simple so far. Now we can take it further. What if someone is to take from their property? What if, for example: farmer Joe, your competitor, comes into your farm and starts to poison your land. Do you then not have a right to the defense of your property? Here is where the second amendment comes in. It's highly important that you have a right to ownership of land and labor, so that nobody has a right to say what you can and cannot do with your own property (within reason). And that those who try to take it away from you effectively are infringing on the rights of ownership to labor and land. So the only way to maintain your right to labor and land is by having the second amendment. This is a requirement to defend yourself not only from the tyrannical government, but from the tyrannical community as well, to fight the idea that somehow, by democratic rule, 51% removing the rights of the other 49%. In this, by logical conclusion, the requirement for the right to keep and bear arms shall not be infringed, so as to defend the rights and order of civilized society. Note: This is a brand new website that promotes in 1st Amendment rights. That people have the right to blog whatever it is they wish, within certain boundaries. No opposing political ideals will be silenced on this platform. If you like this idea, the idea that people have a right to share their thoughts freely, then please take a moment to write on this site. Registration requires no personally identifiable information and you can delete your posts at any time. Click here to register.